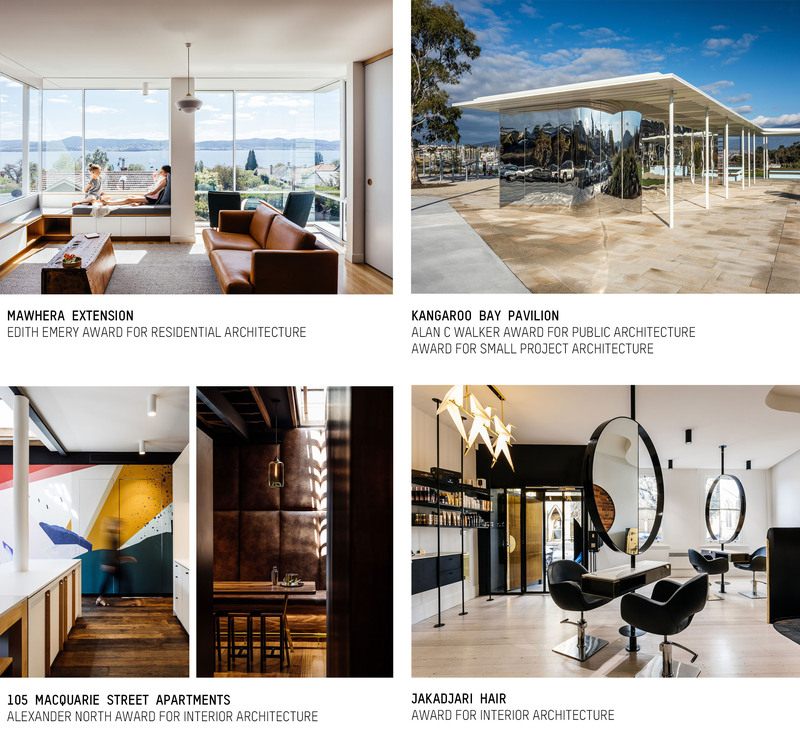 We are very excited to have two of our projects from our Hobart office shortlisted in this year’s AIA National Architecture Awards!! We are honoured to be recognised alongside amazing projects from around the country and we can’t wait to attend the Awards Night in November. Our projects shortlisted are 105 Macquarie Street Apartments (Interior Architecture) and Mawhera Extension (Residential Architecture – Alterations & Additions). Good luck to all entrants! Follow the link below to view all 2018 shortlisted projects! 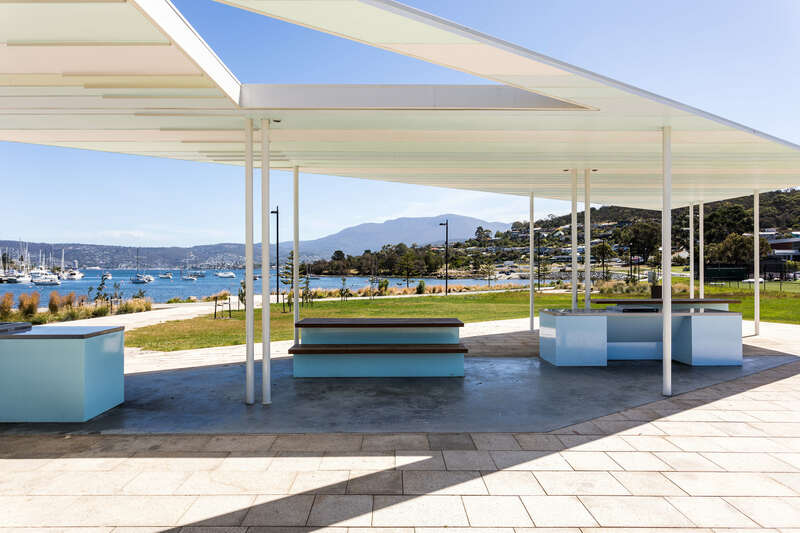 We are very excited that the Kangaroo Bay Pavilion received a Commendation in the Commercial Exterior category at the 32nd Dulux Colour Awards! 2018 Houses Awards – Shortlisted! We are excited to have four of our projects shortlisted in this years Houses Awards! Awards are announced in July 2018 – in the meantime, check out the shortlisted projects in our projects tab! 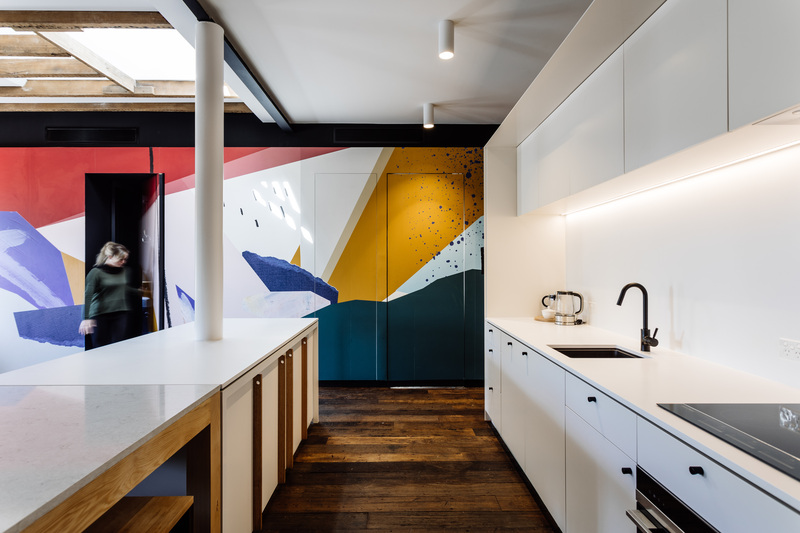 2018 Dulux Colour Awards – Finalist! We are thrilled to be finalists for the 2018 Dulux Colour Awards! 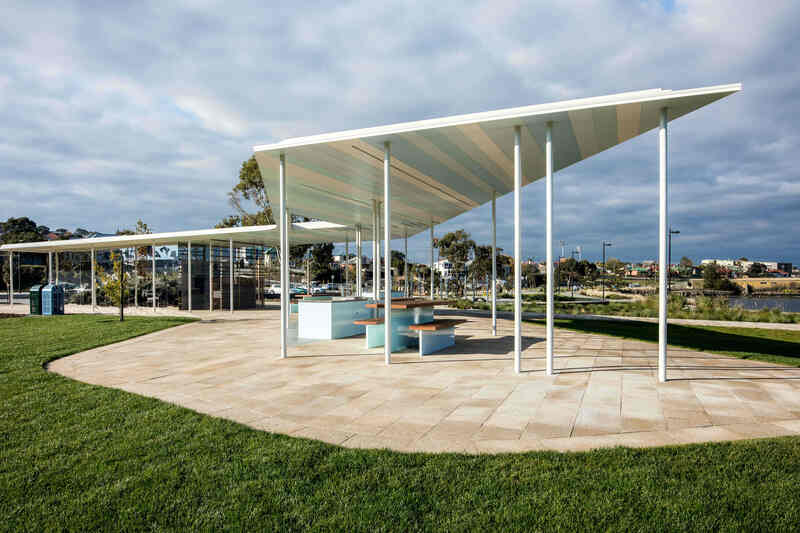 Our Kangaroo Bay Pavilion has been selected in the Commercial Exterior category. Winners are announced in early May! Head over to http://colourawards.dulux.com.au/winners-finalists-2018-commercial-exterior.html to view the finalists. Preston Lane Architects is an award-winning design focused practice with offices in Melbourne and Hobart. A full-time position is available in our growing Melbourne studio for an exceptional Project Architect with 4-8 years post graduate experience. This role will allow you to work on all stages of the architectural process, from concept design through to contract administration. We have several exciting new projects including high end single residential houses, small to medium scale commercial multi residential and commercial office projects. We offer a fantastic work environment and our studio is a great place to learn and take responsibility for projects alongside more experienced Architects; along with the opportunity to become a key part of our growing practice. We are interested in meeting applicants looking for a long-term career position with salary commensurate with skills and experience. We are seeking an easy going, enthusiastic and confident person that is happy to work in a small team. It was great to see our Elwood House featured on the Domain liftout in the Age recently. We are very excited to have been featured in the most recent copy of the Houses magazine along with all the amazing winners of the Houses 2017 Awards. For full details read the article here. Spring Beach Getaway in the New Houses over 200m² category and Milkman’s Cottage in the House Alteration and Addition under 200m². Winners will be announced on the 4 August so fingers crossed! The finalists for the 2017 Dulux Colour Awards have been named and we are proud to have the Lauderdale Primary School Kinder and Classroom Additions shortlisted under the Commercial Exterior category. Winners to be announced on the 10 May 2017 – watch this space for updates! The AIA Tas Chapter Architecture Awards for 2017 have kicked off! On Saturday, Preston Lane Architects presented three of our most recent projects to the five jurors, members of the profession and public. Our entries in this years awards are in three categories and include Milkmans Cottage (Small Projects), Spring Beach Getaway ( Residential New) and Lauderdale Primary School Kinder and Classroom Additions (Education). Project panels will be exhibited for the public in the coming months in Hobart and Launceston – stay tuned for updates! Our refurbishment works are now complete at the Tasmanian University Union (TUU) located at the University of Tasmania’s Sandy Bay Campus. Outdated and cluttered, the brief for the project was to transform an existing administration space and offices into a vibrant open plan student lounge with kitchen facilities and a dedicated meeting space. Head over to our ‘Projects’ page for more information and images. The project aims to establish a new heart within the existing school, providing two new kinder classrooms and a General Learning Area for staff and students. The new building provides a ‘bookend’ to the school by shielding the new outdoor learning area from the dominant main road. The new building steps down the site embracing the playspace opportunities of the natural slope. Classrooms are given a playful colour identity through the insertion of bold coloured carpets, painted plywood ceiling fins and detailing. We are absolutely stoked that Bek Verrier from our Hobart office was the deserving recipient of the 2016 Tasmanian Emerging Architect Prize. Bek joined the Preston Lane team in 2011 during her final year of Masters of Architecture (graduating with First Class Honours). Bek is a skilled problem solver with an eye for detail and a love of colour. She has played a lead role on numerous award-winning projects including Weld Street Alteration, Tassal Office, Sharkra Medispa and the UTAS Student Lounge. Bek’s commitment and passion to architecture has extended beyond our office with roles on various committees at both a state and national level including EAT (Emerging Architects Tas), National Emerging Architect Committee; and AIA Tas Awards Committee. Photo Credit to Nina Hamilton. We were very excited that the ‘Horse Shoe House’ received a Commendation in the Residential Houses (New) category at the 2016 Tasmanian Architecture Awards! Located in Blackmans Bay, the project provides a family home which wraps around its boundary to create a private courtyard within. Physically separated family, study, and play spaces are visually connected through controlled cross views. As a contrast to the dark exterior, internal spaces are light in colour and focus towards the views beyond. On Saturday evening the Hobart Preston Lane team were delighted to attend the 2016 Tasmanian Architecture Awards. The night unfolded across three venues – Brooke Street Pier, Franklin and Brickworks Design Studio. We had a fantastic night celebrating achievements in Tasmanian architecture and were very excited to win the Tasmanian Chapter Named Award (Educational Architecture) for the ‘Student Lounge’ located at the University of Tasmania’s Sandy Bay Campus. This week we had a recently completed house in Blackmans Bay photographed by Derek Swalwell. Here are a few snaps that we took on the day. Stay tuned for Derek’s pics. We are thrilled to be working with Backman & Company on a high-end four level apartment development in Elwood. The project will be hitting the market in early 2016 – watch this space for further updates. The insertion of a raised pool and spa bordered by a pebble covered moat gently delineates the pool cabana and terrace area as well as meeting pool safety requirements without the need for a pool fence. The main concept was to optimise the use of the back yard of this majestic Victorian dwelling with frames, screens and planes that slice and slide, allowing for visual connections and a transitory zone between the existing kitchen and living areas to the new outdoor spaces. The Mt St Vincent Community and Learning Centre in Ulverstone is nearing completion! The project is a joint initiative between the University of Tasmania and Mt St Vincent to increase student and community resources in regional and rural centres – providing the north west coast of Tasmania with a dedicated teaching, community and aged care support facility. The facility offers flexible teaching / community function areas, a specialised teleconference room and other teaching support facilities. Stay tuned for more pics. The team at Preston Lane Architects were delighted to attend the 2015 Tasmanian Architecture Awards held at ‘The Apple Shed’ in the Huon Valley on Saturday the 27th of June. We had a wonderful night celebrating the achievements in Tasmanian Architecture and we were thrilled to receive Commendation Awards for three of our projects in their respective categories. 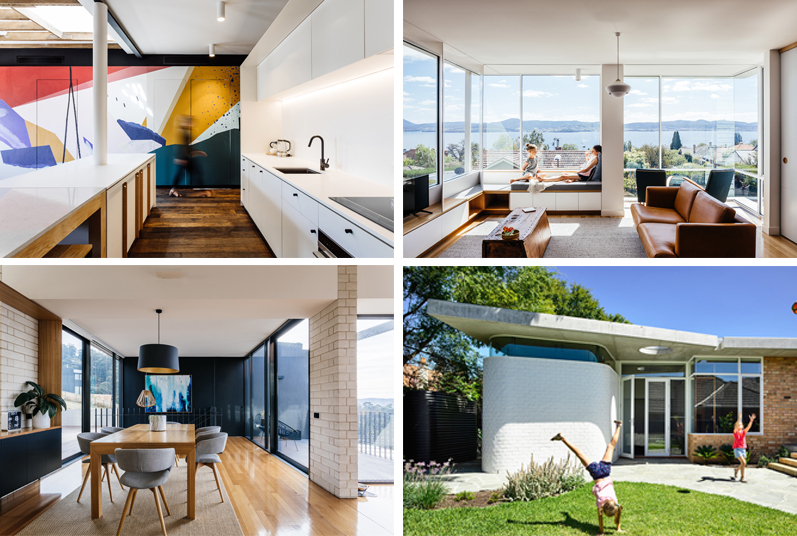 Both our entries from the Melbourne and Hobart studios, Clifton Hill House and Winscombe Extension have been shortlisted for the 2015 Houses Awards! Final results to be announced on Friday 31 July at Melbourne’s NGV. The latest copy of the Houses magazine has hit the newsstand. We are excited to see that our Winscombe Extension has been featured. The UTAS Student Hub on the Hobart campus is nearing completion in the lead up to ‘O’ week. We are excited to see all the joinery items start to take shape and divide up the large space. The key design strategies were to strengthen movement paths, provide students with varied study nooks for individual and group learning and allow the social space to spill out onto the main boulevard. Key to design is a feature joinery spine that is manipulated to suit standing and sitting study. Plywood blades splice through the joinery item to encourage conversation between the rear study ‘caves’ and large open plan area. A robust palette of plywood and concrete were used to compliment the existing raw materiality of the building. Colour is playfully applied to signify that the new hub is a joyous space for students to ‘chill out’ in between classes and be with their mates indoors + out. We cannot wait to watch them appropriate the space and make it their own! The key concept for lighthouse was to design a platform for winter living. The building gestures towards the sun from behind, yet orients users towards the Freycinet Peninsula to the south. For the clients, a desire to sit with the sun on their backs looking down the coastline was what shack living and a home away from home was all about. Stay tuned for more pics. Our Tivoli Studio fitout in Melbourne was completed at the end of last year, in conjunction with the practice’s re-branding earlier in 2014. A new glass and steel pivot door with a custom timber handle now greets visitors to the studio. Some 6500 pieces of square Oregon blocks of three varying depths were carefully cut, sanded and individually glued onto the library/media server hub. A blue sliding door that separates the meeting room from the work area along with a few furniture pieces provide some accents of colour. We are really enjoying the new plants, fingers crossed we can keep them alive. The extension to DeWitt House evolved from a desire to open up the rear of the heritage home to a lush secret garden at the back of the property. Each room has visual links to a garden space. Intimate garden frames become the focus of the new living, kitchen and dining spaces, whilst the master bedroom sits in amongst the tree tops. The sun room + bathroom ‘borrows views’ from the neighbouring park, whilst the entry looks into the central green room in the heart of the home. Stay tuned for more site pics. The new extension to our Sandy Bay road house is coming to life. The existing house has been guttered underneath allowing the new bedroom insertions to slot in below. Blade walls have emerged from the ground framing unique views to the waterfront whilst maintaining privacy. The scheme maintains a low line to the waters edge and one day the addition will be concealed by garden. The original cottage will return to sitting comfortably (as it always did) overlooking the bay. Stay tuned for more pics. Here is a little collection of site ‘snap shots’ as we watch one of our new houses emerge from this beautiful bush setting out at Richmond. Grey blocks ground the family home to the site and sit comfortably next to the large gums gums that frame the vineyard beyond. Stay tuned for more pics. Our Tassal office fit out is nearing completion with builders buzzing around site to get it done in time. 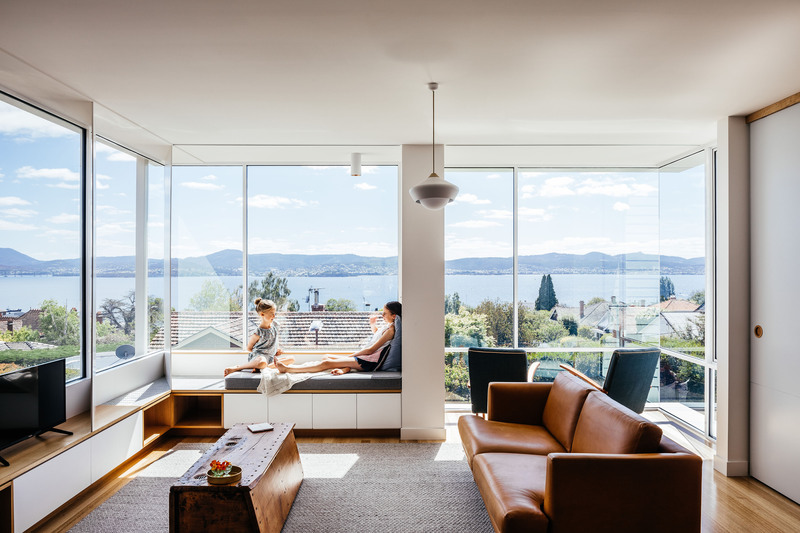 The concept revolved around peeling the fitout away from the existing edge to celebrate the 360 degree views of Hobart’s beautiful waterfront. Office pods pop up into the space as a tool to divide up the open plan. Timber, tiles + texture have been used to bring new life to an office environment, stay tuned for more pics! Our Weld Street Kitchen + Bathroom renovation has recently been featured in this years Houses Kitchens + Bathroom magazine. We had so much fun injecting new life into these key spaces of the Weld Street home. We are pleased to be published in the annual magazine alongside some of our favourite architects in Australia. On Saturday evening Preston Lane were lucky enough to receive recognition for three of our projects in this years Tasmanian Architecture Awards. The whole office attended the event in the void at MONA and it was a wonderful celebration of Tasmanian Architecture. We are delighted that we received both residential + commercial awards. Here is a little sneak peak of one of our projects that has just began on site. The quaint waterfront cottage is being retained (and re-loved), and the family bedrooms are to be slotted in below for private outlooks to the water. We are pretty excited to watch this one evolve. Stay tuned for some more site pics. The shortlist for the 2014 Houses Awards was announced today . Entries from both our Melbourne and Hobart studios, Mays Beach House and Foam Street House made the cut! Final results to be announced on Friday 1 August at Sydney’s Doltone House Hyde Park. Tasmanian Architecture Awards-Peoples Choice Award! Friends of Preston Lane… you can have your say in the People Choice Award! This year we have entered three projects in this years Tasmanian Architecture Awards (Mays Beach House, Browne Street Extension and Sharkra Medispa) and we would love your support. Please vote on any or all of the links below. We were excited to find our little Dynnyrne House Extension being featured on Archtiecture AU today. Click the link to check it out ! The 2014 Tasmanian Architecture Awards are underway! On Saturday the Hobart office presented three of our latest projects (Mays Beach House, Browne Street Extension and Sharkra Medispa) across three categories to the five jurors and members of the Tasmanian Institute of Architecture. It was an enjoyable afternoon of story telling and project sharing. A public exhibition of all the entered projects across Tasmania will be on display in Hobart from June 4th-18th at the Waterside Pavilion and other venues across the state including ‘The Makers’ Workshop’ in Burnie (April 3rd-13th) and ‘Design Tasmania’ in Launceston (May 6th-181th). Pop in and have a little lookie at Tasmanian Architecture! Our little renovation project at Sharkra Medispa in Hobart has appeared in the latest Artichoke Magazine (Issue 46, page 18) in ‘Scope’- design ideas in brief. The small project revolved around the concept of a ‘beauty theatre’, which resulted in the scheme being divided into three main sections, ‘front of house’, ‘front stage’ and ‘backstage’. Central to the scheme is a large timber joinery items that acts as a curtain, providing a buffer between the ‘on show’ front stage treatments (makeup and nails) and the ‘behind the scenes’ treatments (waxing and massage). Our studio fitout seemed opportune timing to investigate new materials and techniques. We had long been intrigued by the traditional Japanese technique of charring timber to preserve it known as ‘Shou Sugi Ban‘. Some experimentation ensued with a blow torch and we were really happy with the results. This technique added a beautiful sheen to the timber and depending on the length of burning, revealed varying degrees of a browns and charcoals. We decided that this will form the basis of the finishing technique for our modular units of feature timber pieces measuring approximately 70 x 70mm. We saw the rebrand of Preston Lane as the perfect timing for an overhaul of our Melbourne Tivoli Studio and an opportunity for a more hands-on approach to engage in some of the actual building works . The first stage involved taking up all the existing carpet which sat on some old linoleum flooring. Little by little, we could see what was to become our new polished concrete floor.